Create wall-to-wall beauty in your home or business with luxury sheet tile or vinyl plank. They are stylish and durable kinds of flooring that will enhance the look of any space. In addition, with our luxury vinyl tile and wood vinyl plank options, you are sure to find the resilient flooring you need to improve the attractiveness of your place at our flooring store. These resilient flooring options provide you with much more than traditional vinyl flooring. In addition, our professional and friendly team is ready to help you find the right flooring to fit your unique needs. What Makes Vinyl Plank & Tile so Unique? Giving your home a contemporary or traditional look is easy when you choose to install resilient luxury sheet vinyl. Available in a wide array of colors and designs, our durable and affordable flooring options allow you to inject your own, one-of-a-kind style into the look and feel of your home or business. 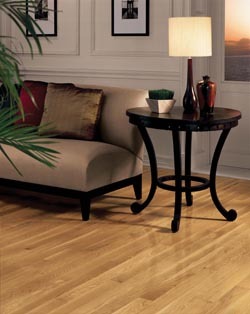 Doing so ensures your floors are comfortable, creative, and durable. From bathrooms and kitchens to activity rooms and laundry rooms, our wood vinyl plank and luxury vinyl tile add an element of elegance to your home. They are also easy to maintain. Install a great-looking floor that is tough enough to handle all of your needs by working with our resilient flooring experts. The elegance of a wooden floor is hard to beat, but a real wooden floor tends to come with all sorts of scrapes, scratches, chipping, and other issues. They quickly turn your dream floor into a real nightmare. This doesn’t have to happen, however, thanks to wood vinyl plank. Durable vinyl plank allows you to enjoy the look of a real wooden floor while eliminating the stress of potentially damaging it. Built to last, wood vinyl plank gives you a stunning surface that you will love to show off from the moment they are installed until the last day in the house. Easy to repair as well as to maintain, luxury vinyl tile makes for a great flooring solution for people interested in creating unique patterns and designs that regular sheet vinyl do not provide. Cut and adjust the luxury vinyl tile into one-of-a-kind shapes and designs that give your room a fantastic look that is sure to attract compliments. This versatile vinyl tile option offers the durability and the style needed to breathe new life into your home. There are a number of different resilient flooring options available to homeowners. It is our job to help you figure out which style best fits your exact needs. Luxury sheet vinyl is an ideal choice for customers looking for a durable, practical, and affordable luxury floor. The most affordable option available for most customers, luxury sheet vinyl doesn’t require precision cuts, making it easy to install. Additionally, it is impermeable to moisture and a great choice for people looking to install a simple flooring design that will continue to look good for a lifetime. Contact us when you are looking to enhance the look of your home with our luxury sheet vinyl and wood vinyl planks. We are proud to provide our state-of-the-art resilient flooring options to customers living throughout the communities of Kingston, Plymouth, Halifax, Duxbury, Carver, Pembroke, Marshfield, Sandwich, Massachusetts, and surrounding areas.